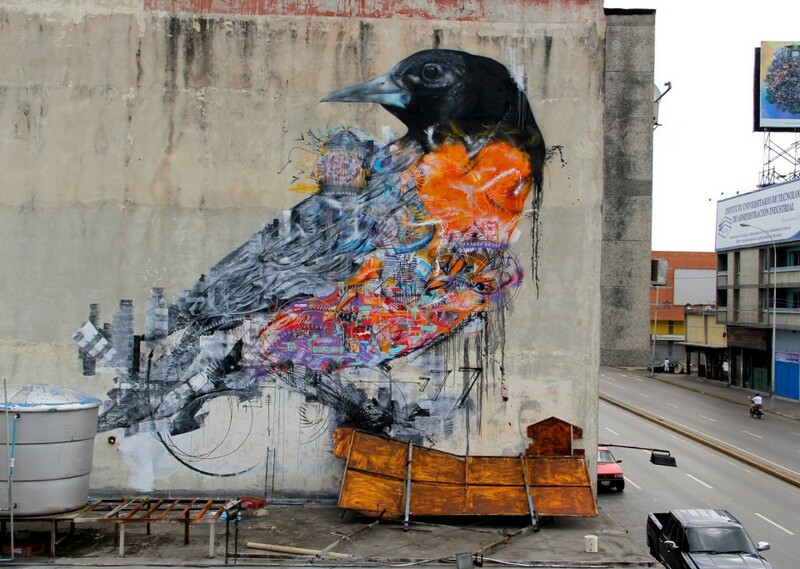 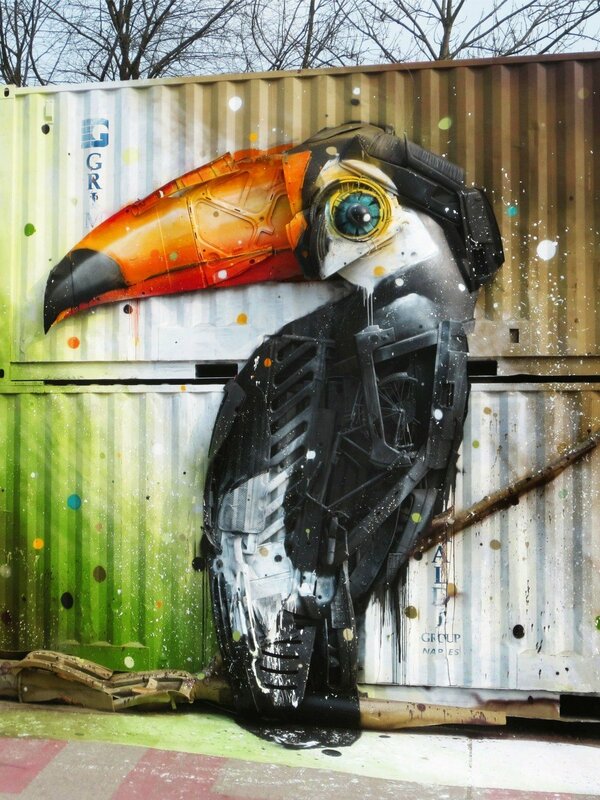 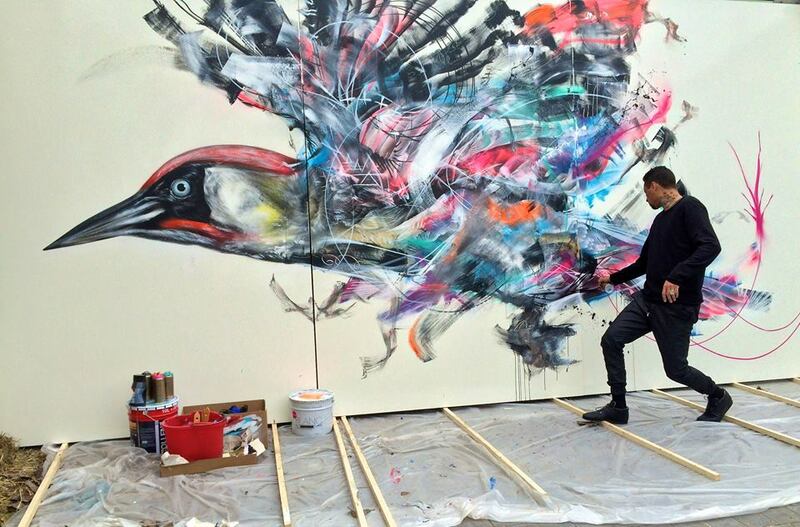 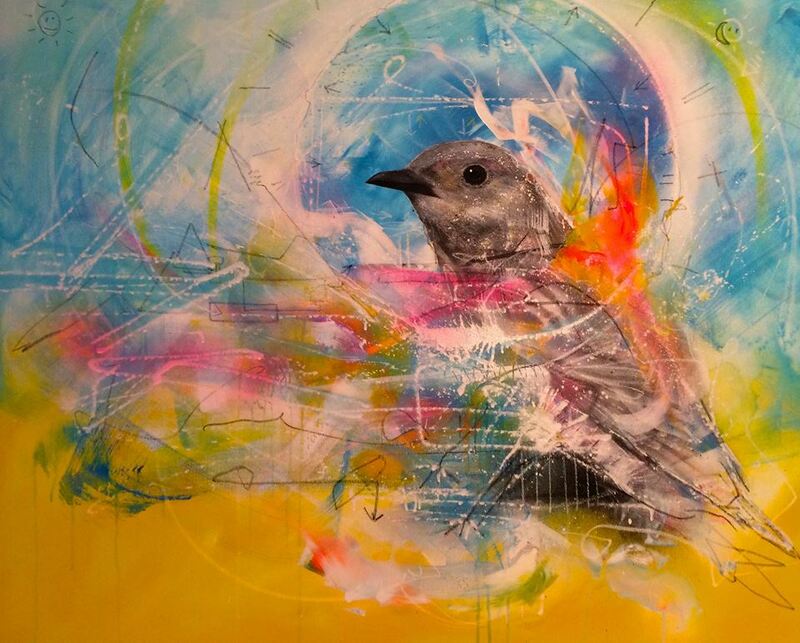 Brazilian street artist L7m has been painting gorgeous birds, bursting with sharp, bright colors and intricate details. 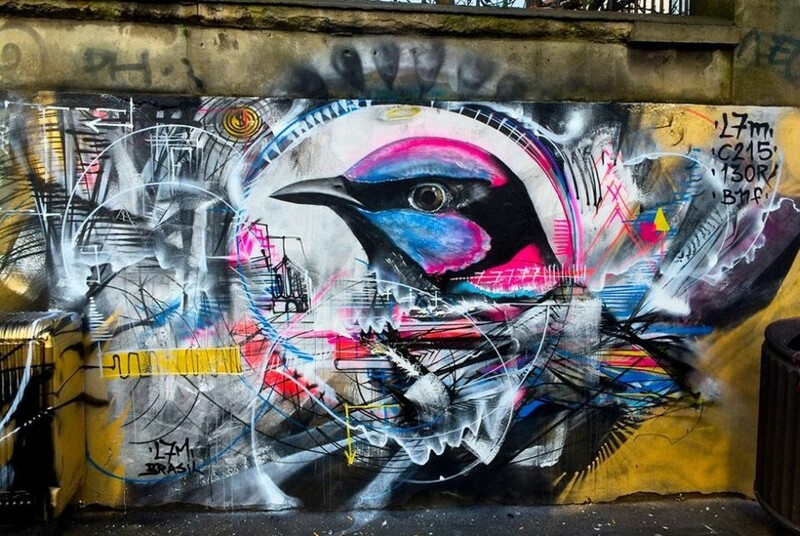 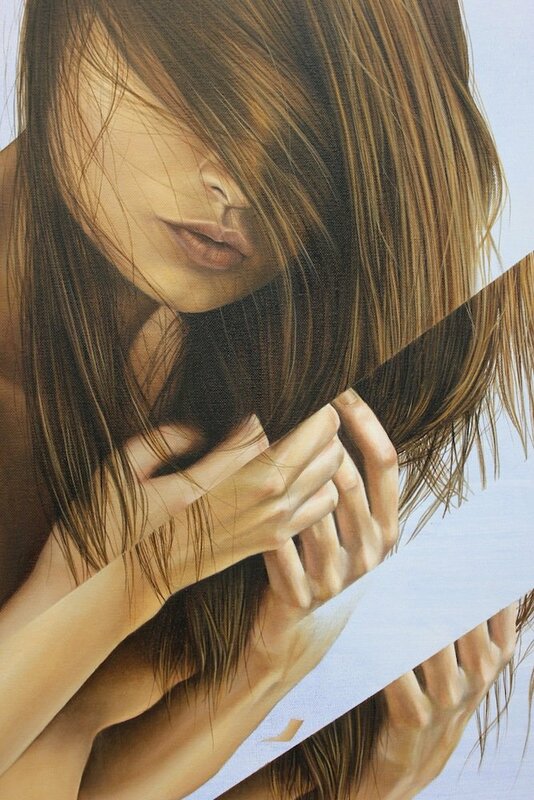 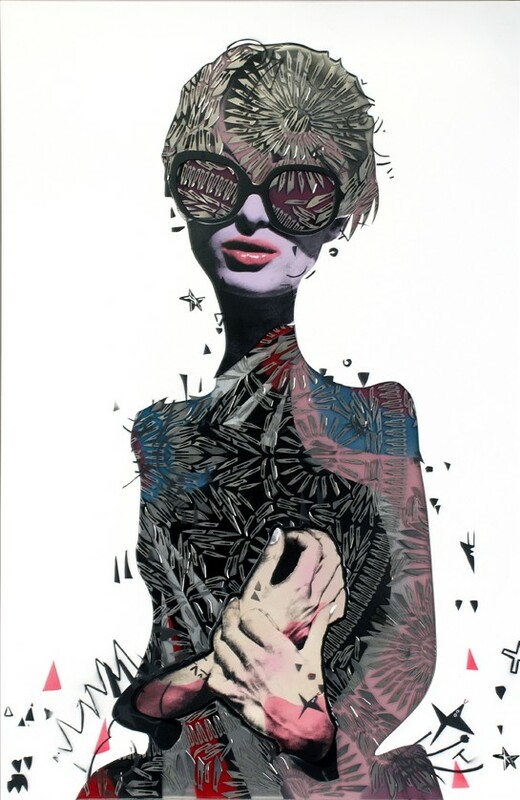 You can find his artwork from the city of his birth São Paulo, Brazil — to Buenos Aires, Argentina; Paris & Montpellier in France, Sydney, Australia, and more. 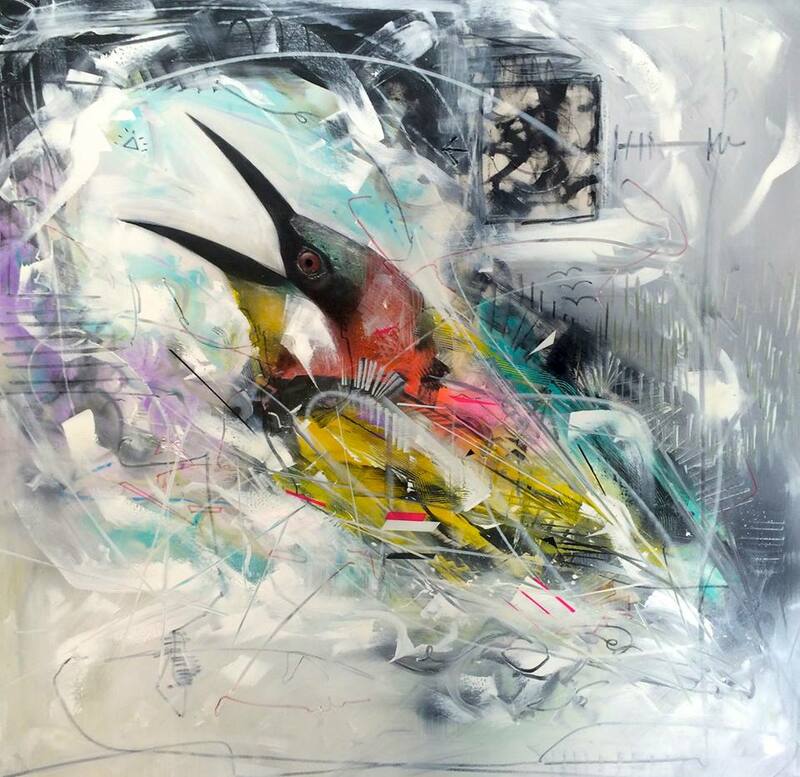 Currently, he’s in Paris for a group exhibition titled “Art Freedom – From the Berlin Wall to Street Art” as the only representative from South America. 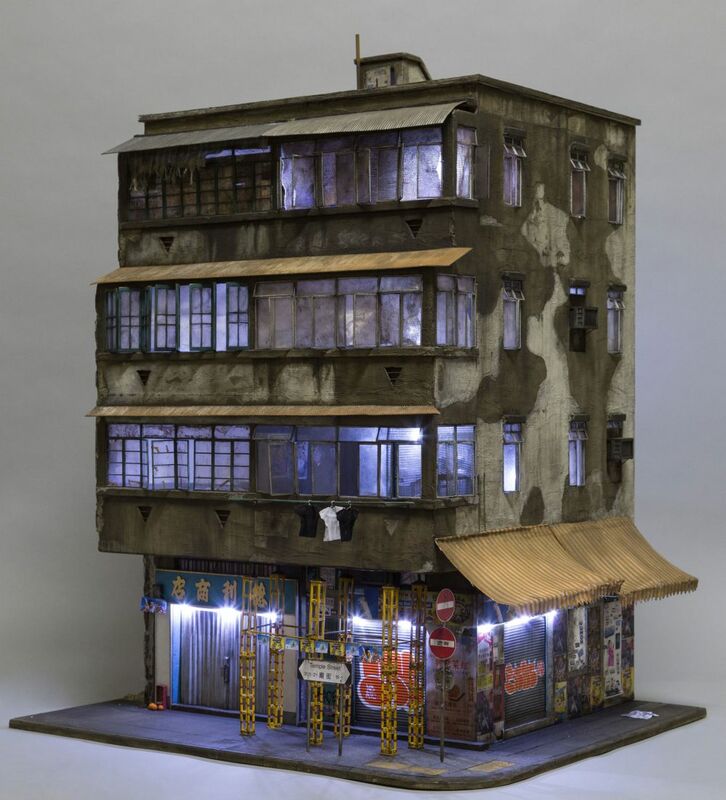 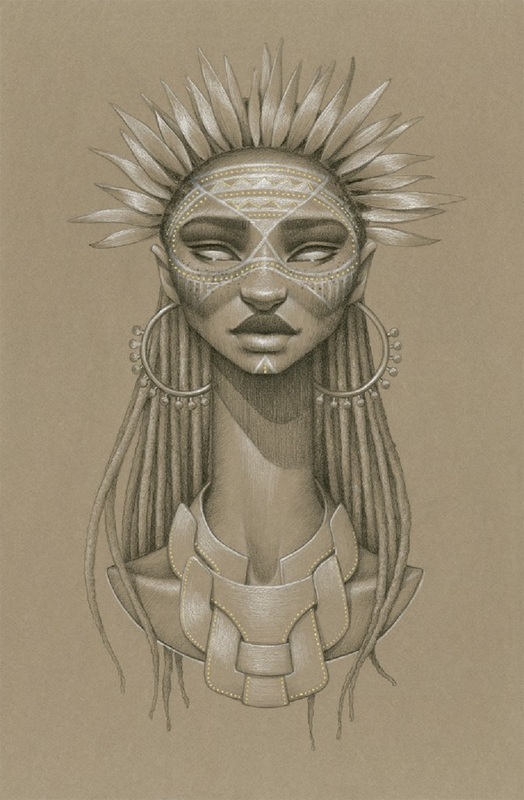 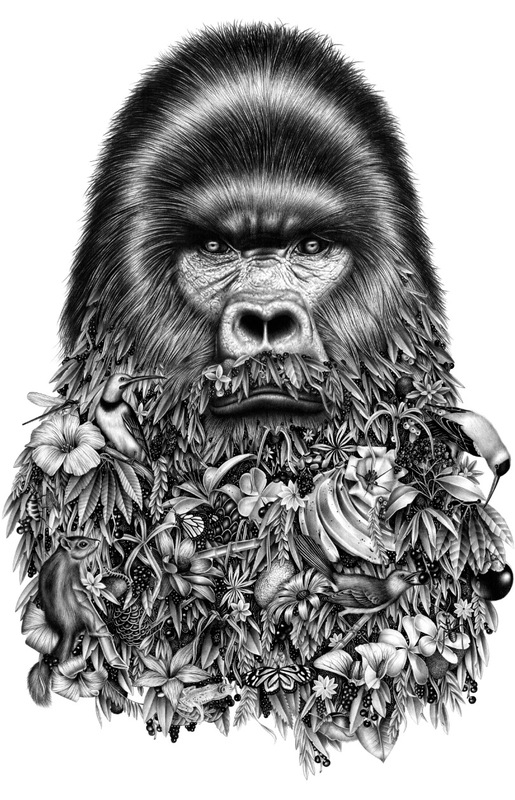 The exhibition runs from April 15 thru July 8, 2015. 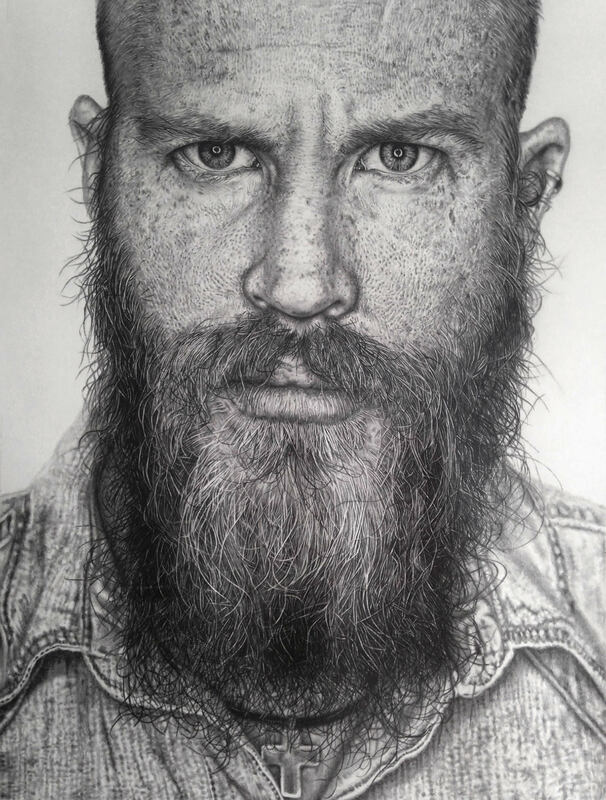 Please scroll down and enjoy some of his amazing work! 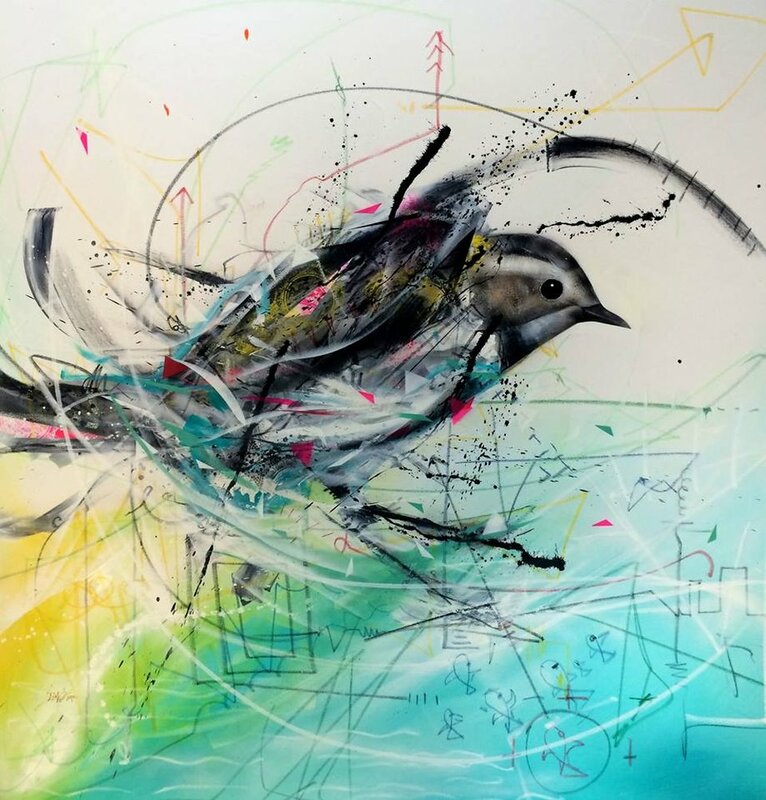 L7m, was born in the countryside of São Paulo, in 1988, and since very early he started his relationship with art. 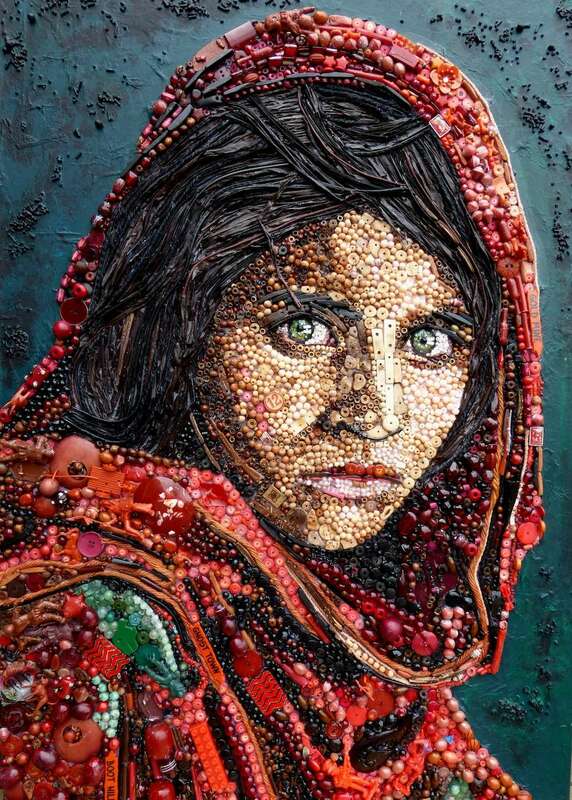 In his childhood, he had participated of many contests and had also won many cultural awards. 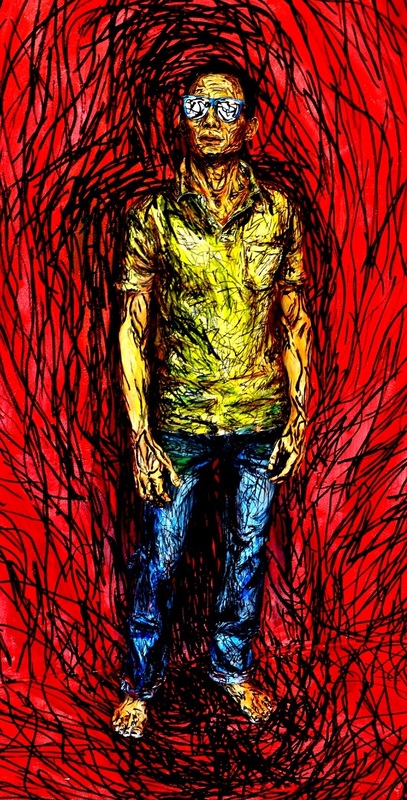 When 13 years old he had his first contact with the spray, which opened his eyes for new tecniques and consequently new experiences and mixtures with china ink, latex, pastel and acrylic. 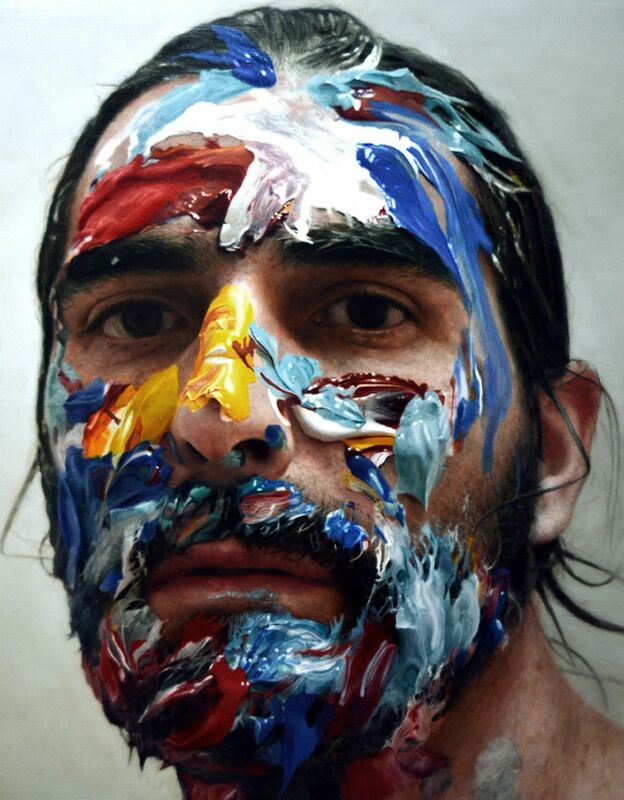 Everything generates the chaos, since the mixture of outlooks and feelings to the materials and medias utilized. 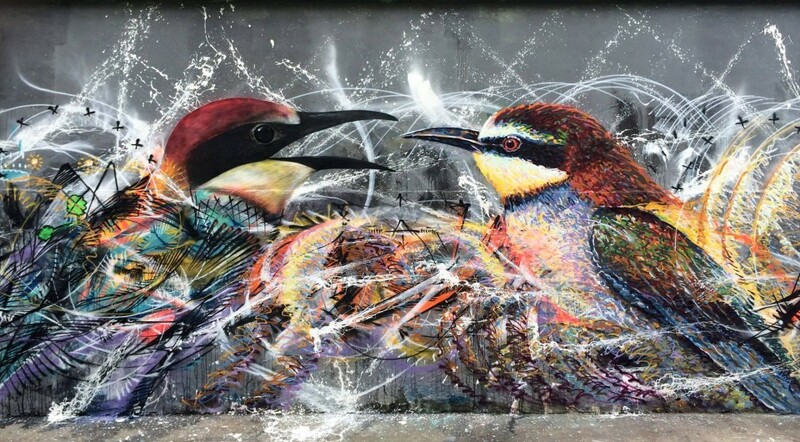 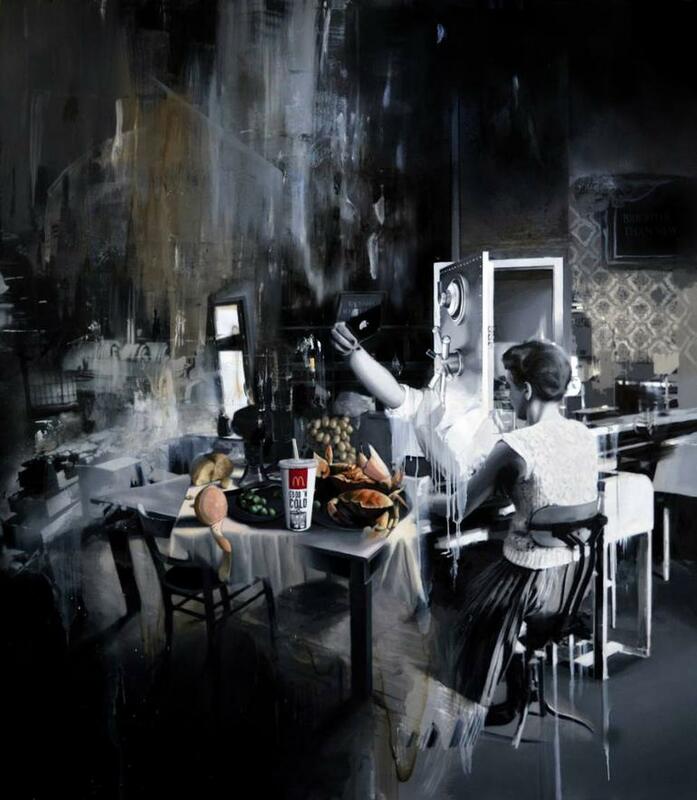 The revolt by the human sorrow, the beauty of life, the city’s disarray, the neglect and the surroundings, all this things transposed and influencing the works of this artist, who evolved with all his feelings focused in the street art. 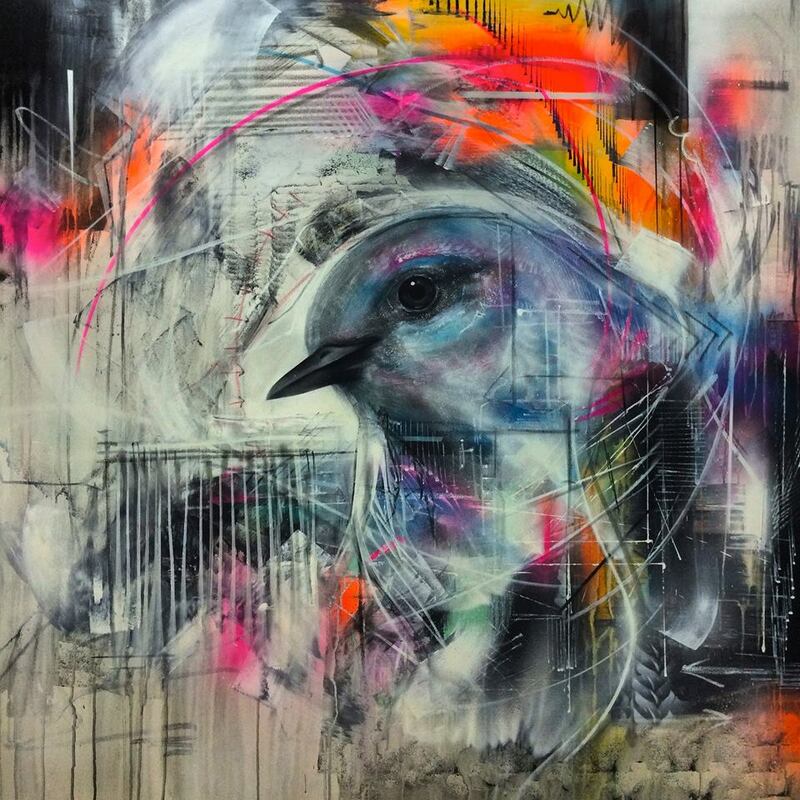 All images courtesy of L7m, and are published with permission. 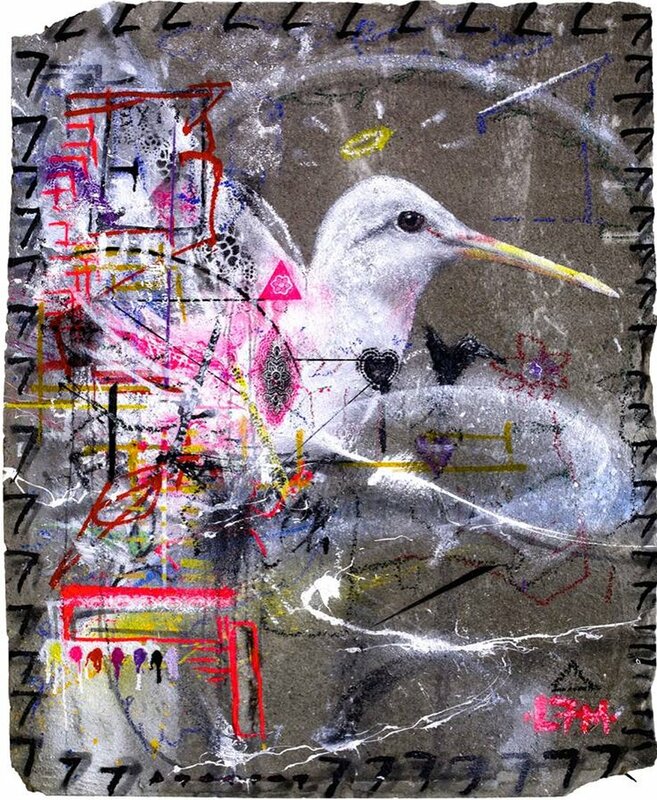 This white bird is his painting at the Paris Exhibition. 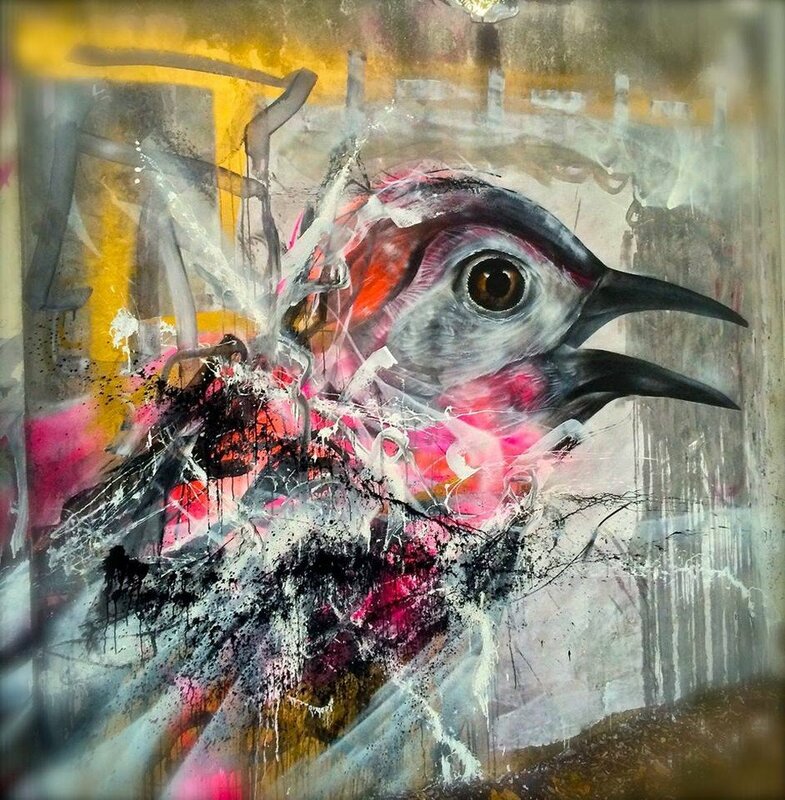 The canvas is a piece of the infamous Berlin wall which was destroyed in 1989.